Do you have an old Bigsby “F” Logo vibrato you would like to install on your Telecaster? Now it’s as simple as can be to mount a Bigsby vibrato to your guitar without drilling any holes! 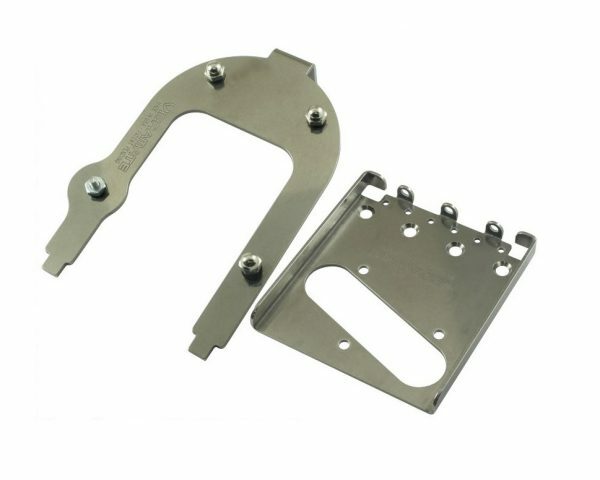 Vibramate V5-TEV-F Stage II mounting kit designed for Vintage Style Telecaster guitars with a 4-screw bridge and the “F” Logo Bigsby vibrato. Install a Bigsby vibrato in minutes without any drilling! 2 piece unit is manufactured in the USA from polished Stainless Steel. 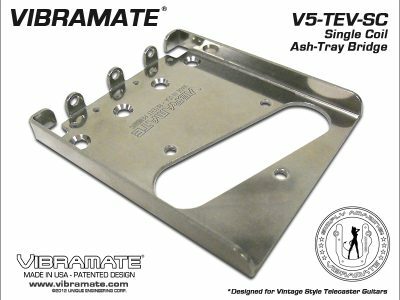 Vibramate custom ashtray bridge uses your existing pickup and bridge saddles.